Eric’s career in the dental field spans eight years and counting. 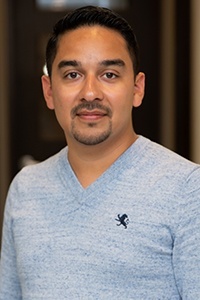 He studied at Tarrant County College and really enjoys being able to lead his team to success on a daily basis! Knowing he can make a difference in someone’s life by providing beautiful smiles in an affordable and accessible way is a wonderful feeling. His optimistic nature and ability to find the good in all things makes him a great fit for this office. Eric is from Fort Worth and has a very fun, outgoing, and accepting family. His hobbies in his free time include reading, doing outdoor activities, bike riding, hiking, cooking, and creating new dishes. In the future, he’d love to pursue a career as a dentist. 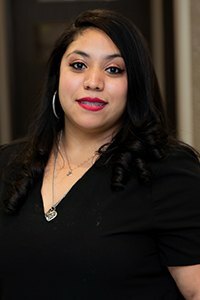 Heather originally hails from Chicago, and she earned her education at Tarrant County College. She really enjoys being able to help people smile brighter through her job! She also loves talking to patients and getting to know them. When she isn’t busy at work, Heather enjoys spending quality time with her loving family and friends, traveling, and going to the mall. Clara is a Fort Worth native and has been working in oral healthcare for three years so far. She studied at Tarrant County College and earned her RDA certification from the College of Health Care Professions. 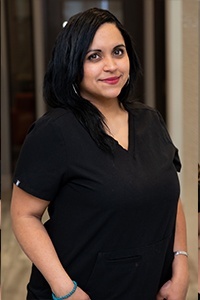 She really enjoys seeing people love their smiles again after visiting the practice, whether it’s the latest of many appointments or their very first time here. At home, Clara is a proud wife and mother of four children. Spending quality time with family is always her top priority outside of work. 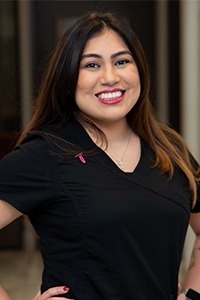 Rose has been working in the dental field for almost a decade now, and her favorite part of the job is having the ability to help others feel comfortable in the treatment chair and give them their best smiles back. She attended Tarrant County College and High-Tech Innovations in Irving for her education. She is a Registered Dental Assistant and certified in coronal polishing. Rose is originally from Puerto Rico and has two wonderful daughters at home. 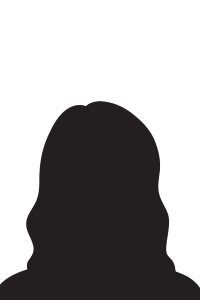 Her hobbies include playing tennis, watching movies, traveling, and spending time with her loved ones. She’s also passionate about cooking – she’s currently going through international recipes and cooking a meal from every single country! Sandy studied at Amarillo College and pursued her oral healthcare education at NDS Dental Assistant School. She is proud to have a hand in helping patients get the smile they deserve! Originally from Amarillo, Sandy is married with one daughter and one son. When she isn’t busy at work, she spends her free time with family, hiking, going to the gym, trying new things, being silly, and making people laugh. She’s always willing to push herself out of her comfort zone.